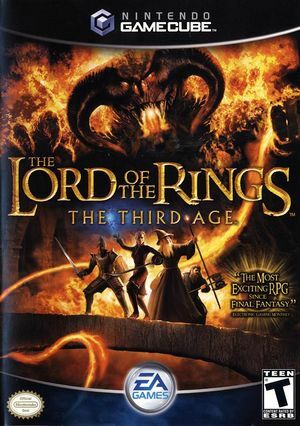 The Lord of the Rings: The Third Age is a 2004 console role-playing game by EA Games for all three of the late sixth-generation game consoles. The player controls a core group of characters that are used during the adventure, leveling up according to experience gained from battles and quests. Please note that the game may seem to hang at the end of the East Emnet Gullies level. You have to select the second disk of the game at this point (File > Change Disc). May need XFB Real to display the change disc image. Fixed with Hybrid XFB in 5.0-5874. The graph below charts the compatibility with The Lord of the Rings: The Third Age since Dolphin's 2.0 release, listing revisions only where a compatibility change occurred. This page was last edited on 21 June 2018, at 05:07.